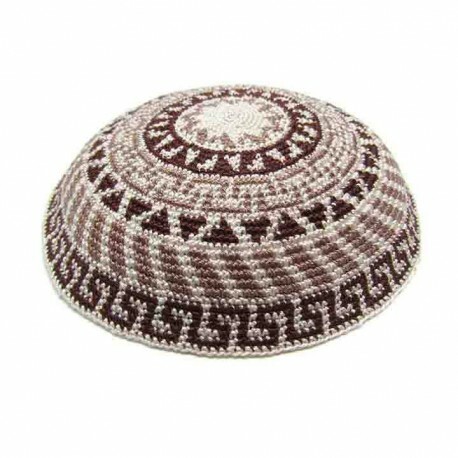 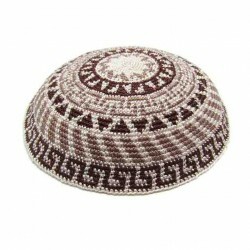 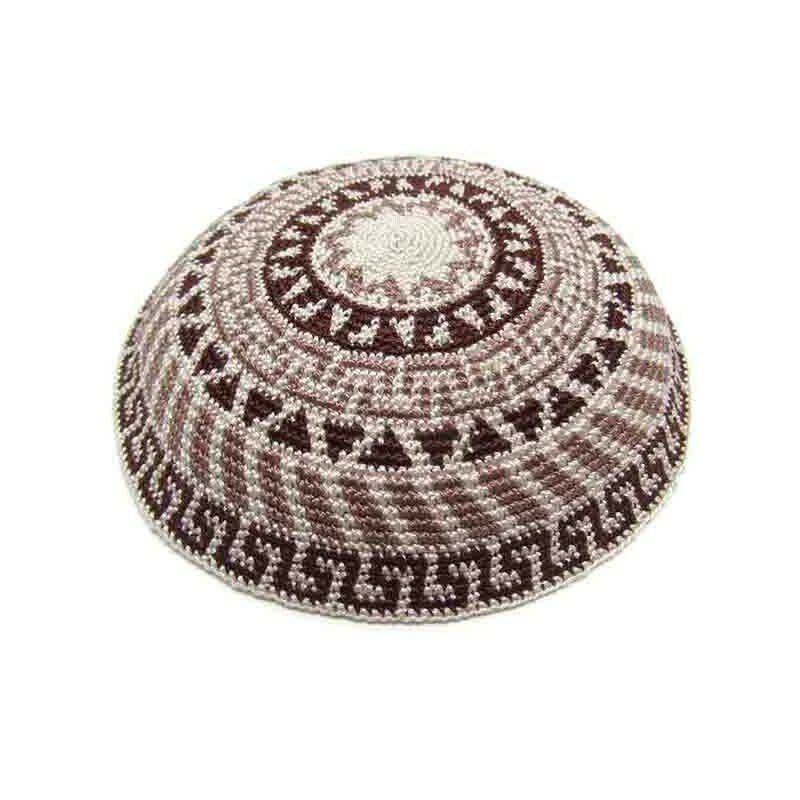 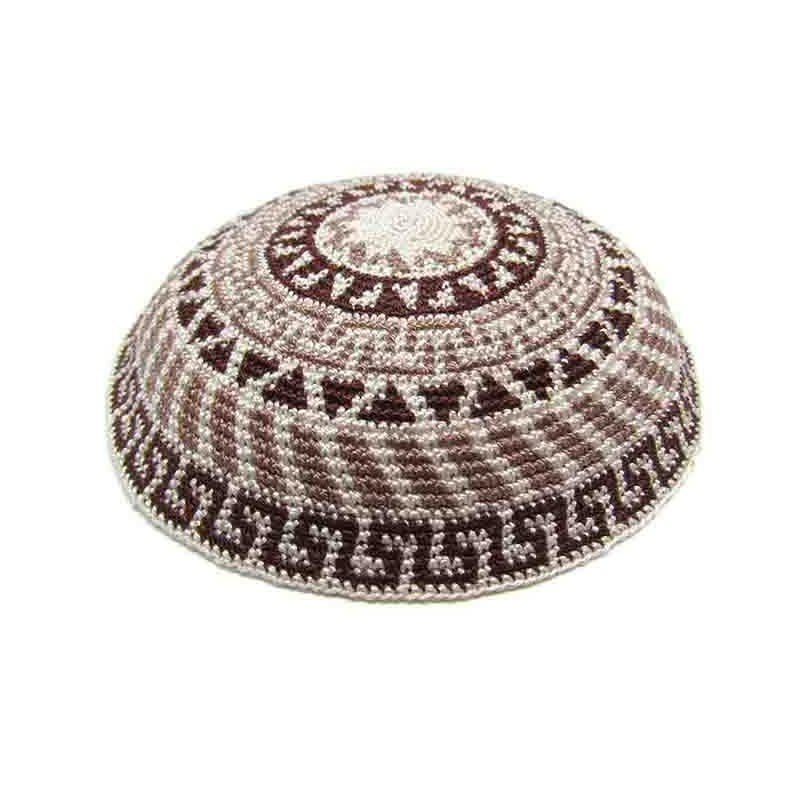 Brown Jewish head covering, brown shades and white handmade knitting kippah ( jewish Yarmulke), suitable for bar mitzvah, wedding groom, shabbat or every day use. 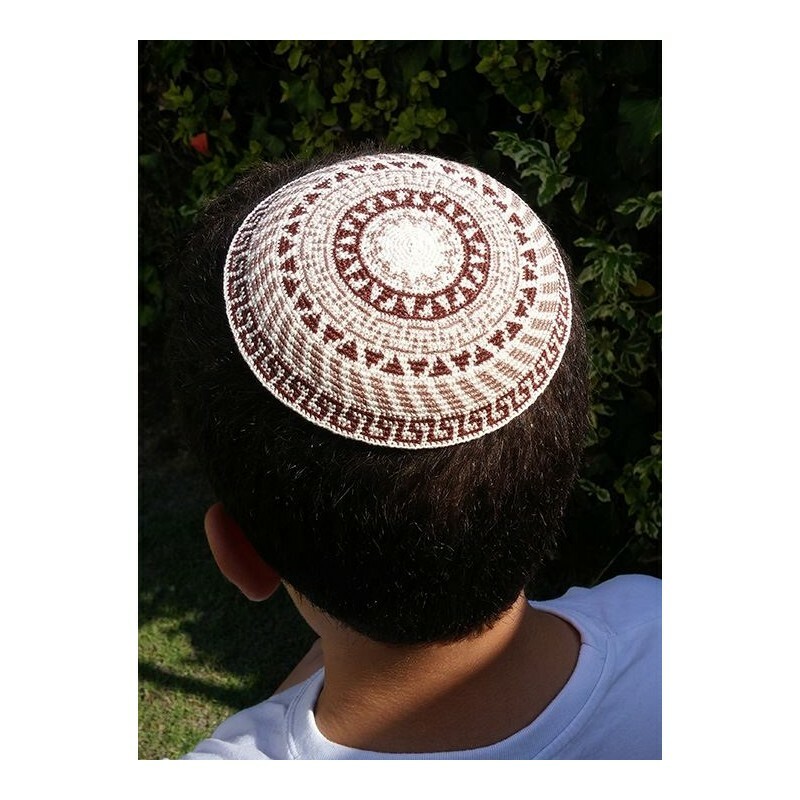 - Brown shades with white. 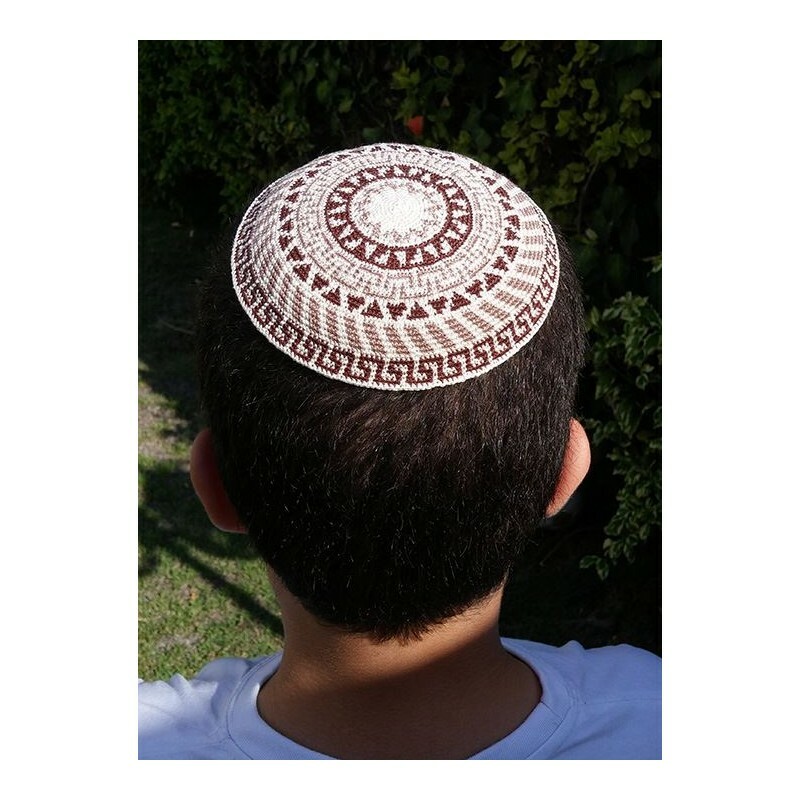 Jewish skull cap, jewish head covering for every occasion.